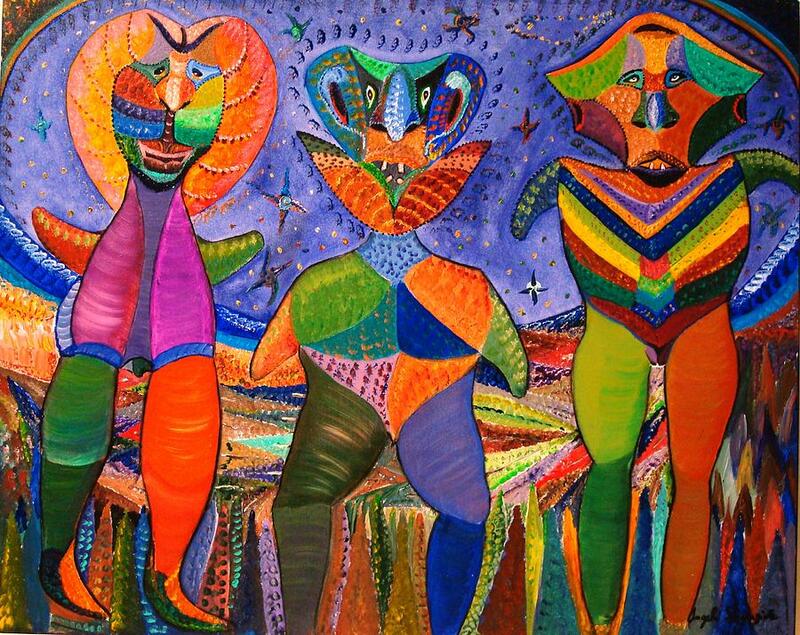 Costume Night Out is a painting by Angelo Ingargiola which was uploaded on January 14th, 2010. This wildly colorful, outer worldy image is a beautiful mix of surreal ideas and impressionistic values. Costumes invokes the imagination of the artist as he envisions these beings landing from mars. It also inspires the costumes and themes from Mardi Gras and Carnival.